The thought-provoking, FHRAI convention came to an end with a thrilling performance by bollywood playback singer Shibani Kashyap after the outstanding FHRAI Awards. A total of 8 business sessions took place in a span of two days along with various stand-alone sessions. The sessions were appreciated by the audience, especially the one by Saibal Roy, VP & Head, NCR, Airtel Business, “Guest Experience in a Connected World” and Mr. Ajith Nayar, Co-Founder and CMO, CamCom “Use of Block Chain, AI and New Evolving Next Gen Technologies in Tourism & Hospitality Industry." While talking to the press at the exhibition, Sh. K.J. 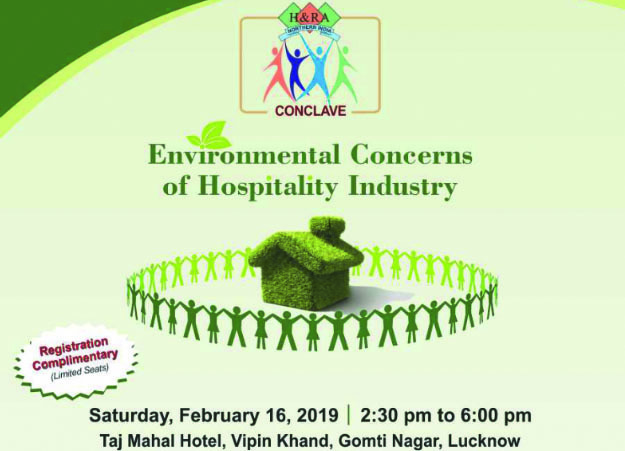 Alphons, Union Minister for Tourism (IC) said "I am very happy to be here at this hospitality show organized by the hotel and restaurant association and at this beautiful handicraft produce by the people of Uttar Pradesh." He also added, "we are looking forward to the great Kumbh and the Ministry of Tourism is going to be publicizing it globally." He also talked to the media about Indo-China relations and the ministry's plan on focusing on attracting tourists from China to India in big numbers. He said, "We want to increase the number of tourists from China to India. China is the biggest outbound tourism in the world with 144 million Chinese travelling abroad. India is getting only a small percentage of that, now we want to increase that number dramatically." Further sharing this thoughts, the minister said, "there is so much that India and China share together and therefore, we want to improve this." At the FHRAI Hospitality Awards Chief Guest Dinesh Sharma, Deputy Chief Minister, Government of Uttar Pradesh in his speech said, "There are different types of Tourism in India- Eco, Spiritual, Heritage, Ayurveda & Yoga, and based on these some states like Kerala have performed exceptionally well in grooming their tourism Industry and generating revenues. UP Government too has been working on improving Connectivity- both Infrastructure & Digital, across the state to attract investments in Travel & Hospitality segments"
Speaking of Development of tourism hubs, which prominently comprise Ramayana Circuit, Buddhist Circuit, Krishna Circuit, Sufi Circuit, that have diversified the scope of Spiritual Tourism in the State, he further added, "We want to set up such an example in our state that our hotels & tourism business becomes the foremost sign of development of UP". The convention served as a favourable platform to showcase the contemporary trends, cutting edge technologies and international best practices in the rapidly growing hospitality Industry.